After his first eye exam at 15, Dr. Frank Sanchez knew he wanted to be an optometrist. 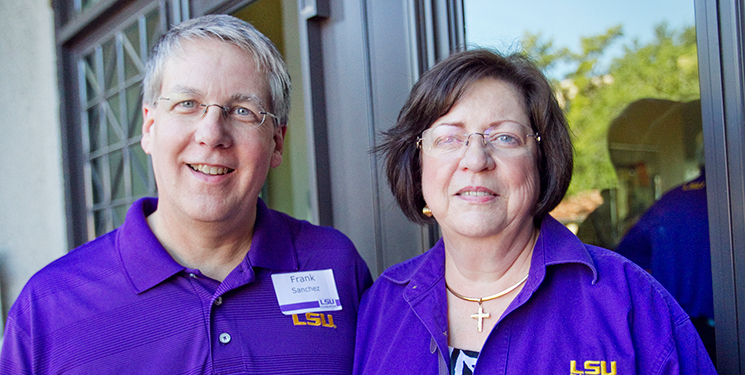 That determination took him first to LSU-Alexandria, where he met his wife, Janet, on day one. The couple then transferred to LSU in Baton Rouge before moving to Texas when Frank was accepted into the University of Houston College of Optometry. Now living in Marksville, LA, the two are still inseparable, even in business. Janet has worked as business manager and bookkeeper for Frank’s optometry practice for the past 32 years.